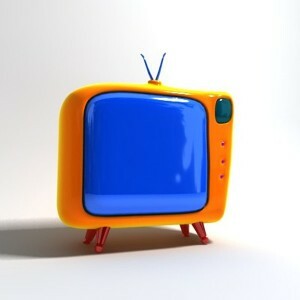 What catches your attention when you hear TV ads? There is a reason that most major companies still advertise on TV – it WORKS! Sure, TV advertising effectiveness has dropped due to the increased use of DVR and Netflix type of services, however, commercials are still being seen and they really do work! Do you have a mascot for your business and want it to come to life? We can animate! Do you have a slogan or logo that really highlights your business? We can use it! Have you ever found yourself singing a phone number jingle all day from a commercial you heard that morning? We can make catchy jingles! All of these things work! They grab the TV viewers attention and makes them remember YOUR commercial over everyone else’s. In the industry it’s called “cutting the clutter”. We can help your commercial get the attention it deserves. Does it sound weird that we actually DVR shows to fast forward and watch the COMMERCIALS is Scottsdale, AZ? Funny huh? We need to see what the latest and greatest marketing strategy is and the best way to see what the competition is doing is to watch it? We spend hours every week critiquing the best (and worst) commercials and coming up with ways to improve on the ideas. Flip Marketing and SEO has a full production crew we work with regularly who has years of experience producing commercials. We work closely with them to create the script, hire the actors if necessary, visualize the entire commercial from start to finish and then execute that vision. FLIP will be present on the set the day of recording to overseeing all aspects of the commercial process. If actors and live shots are not what you are envisioning, we can create animated spots, narrated graphics and many other types of TV commercials. Let FLIP Marketing and SEO get Creative for YOU!